If you have mild to moderate signs of aging, you can achieve a subtle facelift without surgery through treatments with advanced technologies. Don’t wait – tackle wrinkles and sagging early for the best results. Doing so could mean never having to go under the knife to look young. At Natural Foundations, we use two devices to lift the skin and muscles of the face in order to counteract sagging skin and wrinkles. 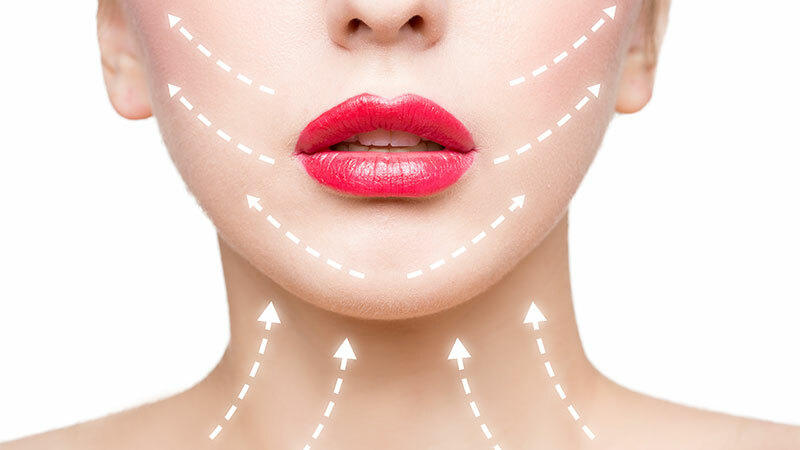 These non-surgical facelift techniques are remarkably effective and allow you to avoid the pain and recovery period of surgery. Microcurrent treatment is a non-invasive procedure that tightens the skin and smooths wrinkles through gentle electrical stimulation. It promotes collagen and elastin production, while also increasing blood circulation and cell regeneration, for an overall more youthful look that continues to improve for months. Microcurrent actually “reeducates” the fine facial muscles as a tiny electrical current is administered through two Q-tipped probes to improve muscle tone and smooth the skin. In the process, no harm is done to the skin, and all you feel is a gentle tingle. Venus Legacy radiofrequency treatment can tighten and lift lax skin on the face, while also smoothing lines and wrinkles, for a subtle, but dramatic non-surgical facelift. Best done when the signs of aging are not significant, this treatment can keep you looking younger without the need for surgery. The Venus Legacy device uses NanoFractional Radio Frequency and SmartScan technology, as well as pulsed magnetic fields, to tighten the skin. It combines VariPulse™ technology with 3D™ MP2 energy to give you a deeper treatment that stimulates circulation and immediately plumps your skin, and gentle heat causes the skin to safely contract and tighten for a more youthful look. You can expect to see some results after the third treatment. Six 20-30-minute treatments are usually required on the face once a week. Venus Legacy feels like a hot pulsing massage on the face, so it is not painful. Most patients experience facial redness for about an hour after the treatment. The results have been shown to last 18 months or longer, and they can be maintained with quarterly treatments.